At The Grauer School in Encinitas, we believe a private school education based on balance creates the most fertile ground for our students to grow as learners and leaders. To facilitate this balance, our curriculum combines rigorous academic expectations in science and technology-based disciplines with unbridled artistic expression, global cultural appreciation, and physical health and wellness programs. As the worldwide leader in the small schools movement, we believe a private school education should provide our students with the best opportunities to succeed and to find personal purposes. We accomplish this by placing emphasis on each child as an individual learner with his or her own unique styles and skills. We welcome you to learn more below about how choosing a private school education with The Grauer School can benefit your child in all of these ways and more. 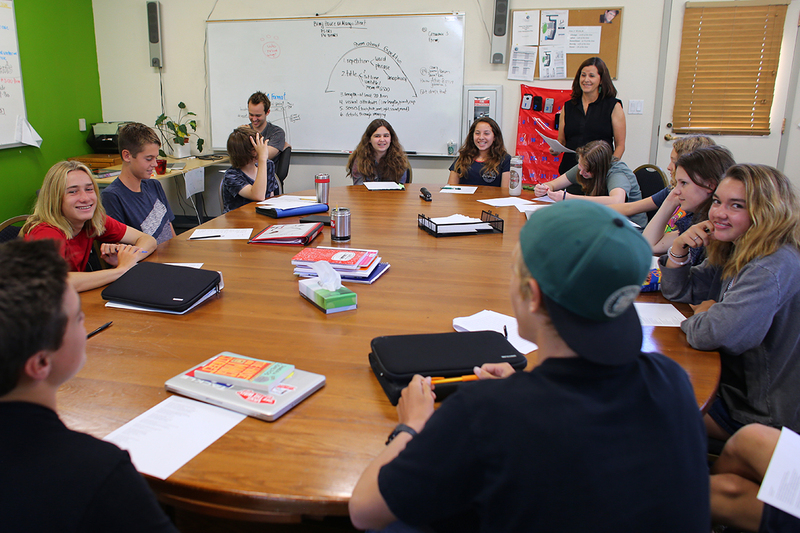 The purpose of Social Studies Department courses is to prepare students to do the work of a historian, view the world through an anthropological lens, and understand the complexity of the world. Students work to develop a strong understanding of the past, which in turn allows them to have a better grasp of the society they live in today. Students will develop a strong fund of knowledge, activate schema, and detect patterns across time. Additionally, students will analyze and evaluate primary and secondary sources in order to learn about significant people, and events from a variety of perspectives. Many of the learning opportunities are designed to give students the skills and content knowledge necessary to be successful in later Humanities courses. By focusing on those aspects of Social Studies that are relevant to today and the future, students will be able to apply the process skills and content they acquire to other courses and life experiences. *Items highlighted in color are UC-approved college preparatory electives. One unit—equivalent to one year—is required. to learn how to integrate language into current and evolving media and multimedia expressive forms. As students begin to think more abstractly and with increasing foresight, they are given the opportunity to express their thoughts in a variety of ways. Their verbal, social, and thinking skills are supported by participation in small group (Socratic) discussions, dramatic readings, and speech presentations. Students respond to a wealth of literature in writing, orally, and through their own research, and they create their own literature. In seminar-style classes and through engaging project work, students in transition from childhood to adulthood are able to sort through what they may already know and what they will likely need to know to further develop into successful high school and collegiate students. Welcome to The Grauer School's Mathematics Department. We strive to help every student feel successful in mathematics by enabling mastery of the problem solving techniques covered in class as well as learning the application of those techniques to new and unique situations. We support our students through every step of the learning process while also keeping them challenged with a dynamic curriculum that currently covers the traditional core sequence of Algebra 1 --> Geometry --> Algebra 2, with many additional class offerings prior to and after this core pathway. Furthermore, students are encouraged to challenge themselves and push their math knowledge to the limit by taking their class for honors credit, which enables students to dive deeper into each topic and/or complete additional enrichment projects that tie math concepts and topics to the students' area of personal interest and passion. The science team at The Grauer School strives to create a relationship with each unique student, working with their individual talents and needs. We provide a rigorous educational experience that integrates hands-on learning and inquiry-based laboratory activities. Learning should be fun and this is on the forefront for Grauer science! The Grauer School students have a wide choice of languages other than English to study, including: American Sign Language, French, Japanese, Mandarin Chinese and Spanish. 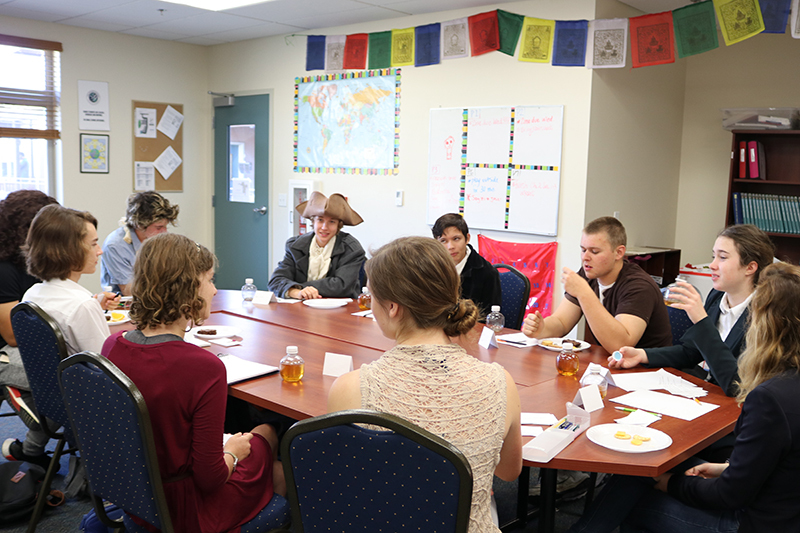 Additional, student-initiated foreign language clubs spring up from time to time, as well. 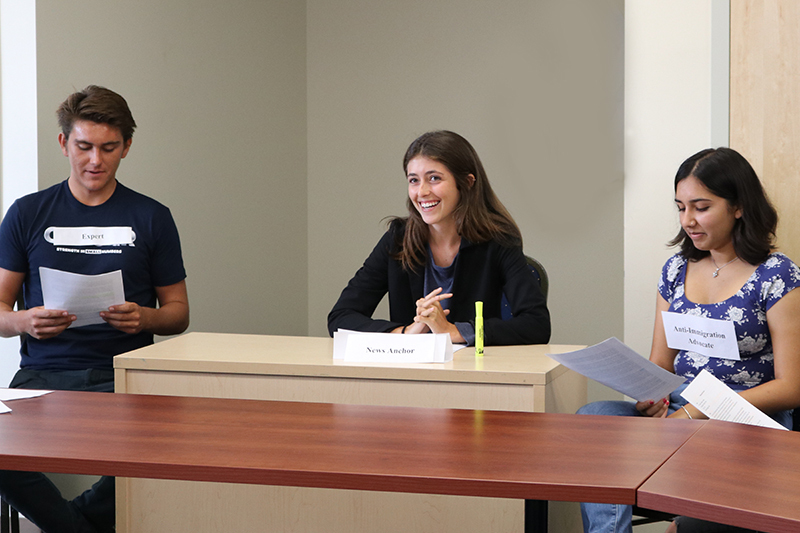 Although two years of the same language is a University of California expectation, many Grauer students study world languages for three or even four years of high school. To be considered for the University of California, students must complete two units—equivalent to two years, or through the second level of high school instruction—of the same language other than English with three units recommended. LOTE levels are defined by the number of years of high school instruction (e.g. LOTE 1= 1 year; LOTE 2 = 2 years, etc.) All UC-approved courses are listed in bold above. Grauer is a place of flourishing arts! Over 90% of our students are enrolled in at least one offering. Through our Visual and Performing Arts (VPA) Department, students explore and develop their creativity, confidence, and expressive “voice." 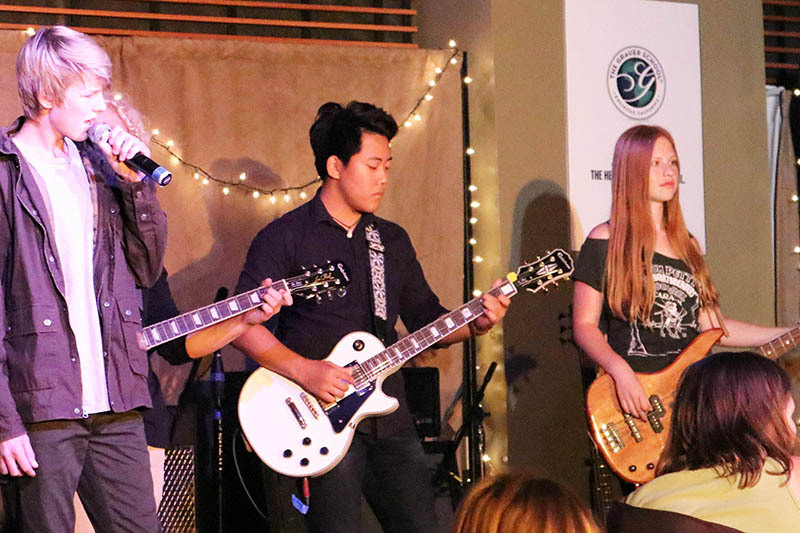 Through both sophisticated program options and close personal mentoring, students nurture creativity and skill. VPA students unleash their imaginations, express themselves freely, and reveal themselves through visual forms, dramatic arts, and music. Many art students also perform in theatrical productions, manage advanced VPA technology, collaborate on set design, learn marketing, and/or integrate music with the school’s performances. There is something for everybody. Grauer graduates have understandably been admitted to some of the nation’s most renowned collegiate VPA programs. At Grauer, a healthy lifestyle is a primary goal. Students are required to take Physical Education (PE) during middle school. We require three years of PE for high school students, which is one more year than is required by the State of California. Fitness at Grauer incorporates extensive health instruction and a full garden/orchard-to-kitchen experience right on our “green” campus. Since 1991, The Grauer School remains committed to its leadership role in redefining education for the best schools in San Diego County to follow. 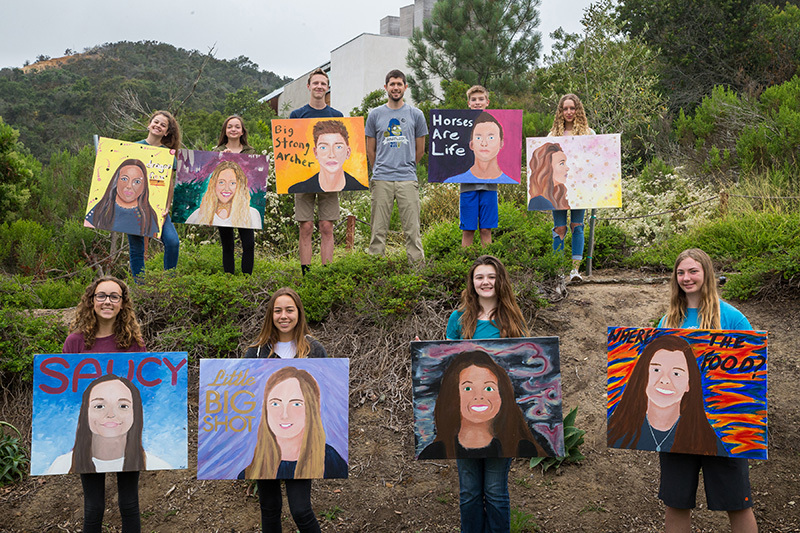 Our six-acre, green campus in coastal Encinitas is home to academic achievers and social agents for change of all backgrounds and walks-of-life, who all share the passion and compassion necessary for responsible leadership regardless of their individual academic, career and life paths. Our pedagogical methods and curricular delivery styles have been proven time and again to facilitate a private school education with the power to change the lives of our students, faculty, families, and community members, infusing them with a sense of ecology for a lifetime.